There are many websites that make use of the power of Bootstrap and Angular to create stunning websites or web applications. For example, Kodable and Bizns. So it seems logical to combine these two frameworks to create great looking web applications. 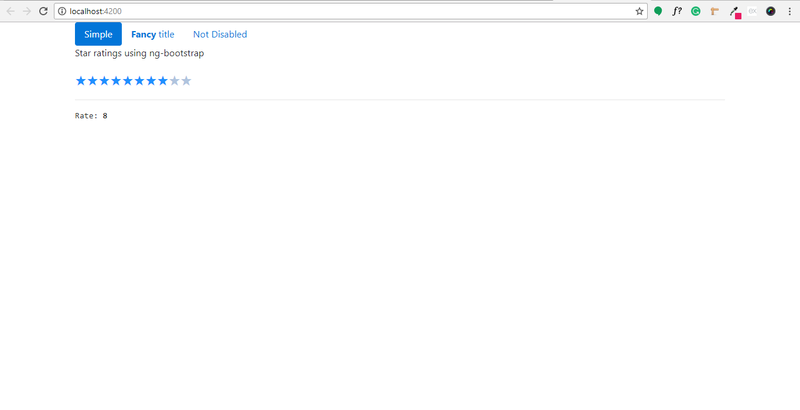 But unfortunately, Bootstrap and Angular do not work very well together. There are some issues when using Bootstrap and Angular together in the same project. These issues arise because of using Bootstrap JS, which uses the jQuery library, together with Angular. Bootstrap has a dependency on JQuery. It uses the jQuery library for the components like tooltips, modals, popovers etc. When using Angular in your projects, you should not add jQuery library with Angular. Bootstrap JS will create a conflict with Angular. The reason for this conflict is that the way jQuery and Angular manipulates the view is completely different. 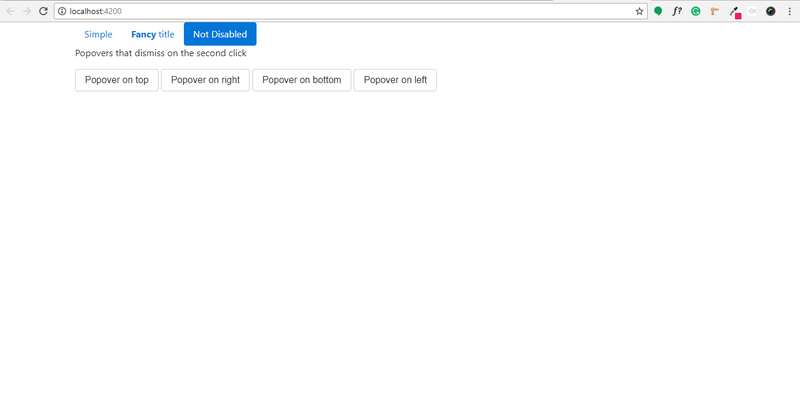 jQuery manipulates the data in the view is by grabbing and injecting DOM based on events. The data manipulation in Angular takes place by data-binding. This means that a variable is bound to the component. The state of the component is changed based on the true or false value of the variable. Angular already has jQlite included in it and does not depend on jQuery. For this reason, you don’t need to include jQuery. So, is there any way you can combine the two frameworks? Yes, there are two ways that you can Bootstrap to make the development of the UI easier and Angular to make DOM manipulation, HTTP requests, and a whole lot other things easier. The other option is to use other libraries like UI Bootstrap or ng-bootstrap that combines the best of both worlds. In this article, we will be discussing the Angular project ng-Bootstrap which has a set of Angular directives that is based on Bootstrap. Next, to include Angular, in this article we will be using Angular CLI. To install Angular CLI in your project, enter the following command using npm. Now, you can initiate a new project in the following way. This will create a new project folder for you. Now navigate to the project folder and start up the web server. To start the web server, enter the following command. After installation, you need to import ng-bootstrap’s main module. To do that add the following statement to app.module.ts file. Next, what you need to do is list the imported module to your application module as follows. For the root module, you need to call the forRoot() method. In the ng-bootstrap documentation, you can find code example for all the components that you can use directly to your project so that you don’t have to build anything from the ground up. So let’s start by adding a simple dropdown to our example. 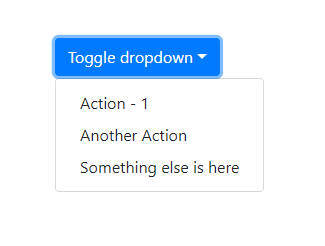 It will create a simple drop-down button like this. Now let’s try a combination of some of these components in an example. 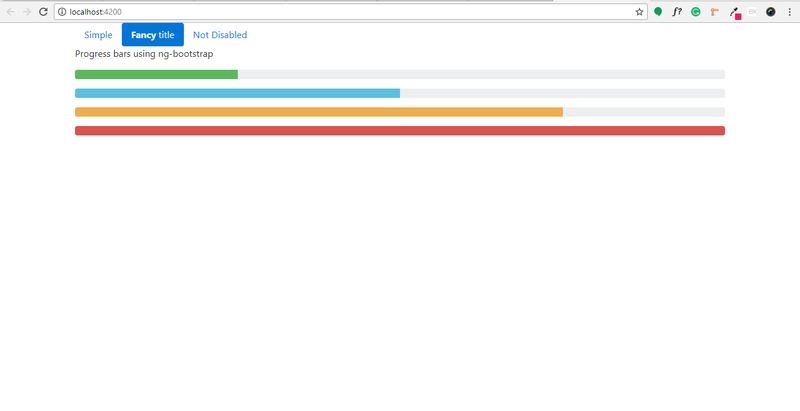 Let’s create a page with three tabs with a star rating, progress bars, and popovers in each tab. This entry was posted in Angular, Bootstrap and tagged angular, angular js, bootstrap.